They confirmed the decision on Friday, further citing the couple's failure to integrate and respect gender equality. 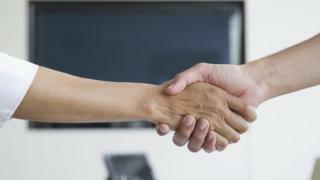 Days ago a Swedish Muslim woman won compensation after a job interview was ended when she refused to shake hands. They would not reveal specifics about the couple, who local media said were North African, but confirmed they felt the couple had failed to meet citizenship criteria when they applied in the city of Lausanne. The mayor of Lausanne, Gregoire Junod, told news agency AFP freedom of religion was enshrined in local laws but "religious practice does not fall outside the law." The couple were not asked about their faith, authorities said, though their religion seemed apparent, local media reported. Officials stressed they were not rejected based on their religion but for their lack of respect for gender equality. "The constitution and equality between men and women prevails over bigotry," said Pierre-Antoine Hilbrand, who was part of the commission that interviewed the couple. This not the first time refused handshakes have stirred controversy in Switzerland. In 2016, a Swiss school decided to exempt two Muslim boys from shaking both male and female teachers' hands after they refused to shake hands with a female teacher. The news caused uproar and led to the family's citizenship process being suspended. In neighbouring France, an Algerian woman was denied citizenship after refusing to shake the hand of an official during her citizenship ceremony.